Millions of pounds which would otherwise be paid in tax could be spent on the hunt for shale gas – according to an investigation by Unearthed. The little reported tax break benefits firms which already produce oil and gas in the UK and invest in fracking – and could even include money spent on community benefits. 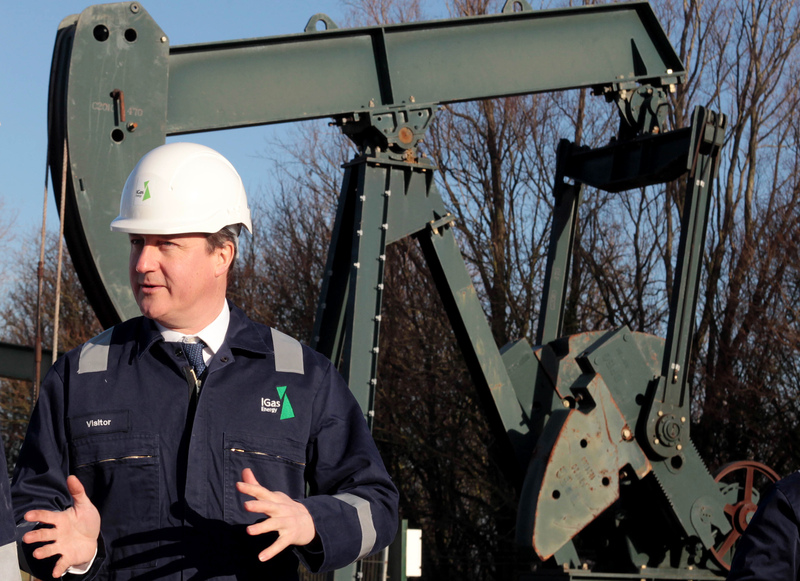 The news comes as fracking looks likely to return to the UK for the first time since 2011. “It’s inexcusable that ministers are treating fracking firms to a generous tax loophole, whilst denying clean, renewable energy projects the very same tax breaks. The investigation revealed that British Gas owner, Centrica, could save up to £24m from the system after the company committed to spend £60m supporting Cuadrilla’s exploratory efforts. The actual tax saving would depend on a range of factors including the cost of gas and the firm’s profitability over the next decade and on whether Cuadrilla secures ongoing planning permission. If the industry starts to develop, Treasury documents also suggest the taxpayer could lose out on more than £25m from the industry as a whole between now and 2020 as the money is spent instead on fracking infrastructure – though the government claims the industry would later generate tax revenues. Renewable technologies – such as wind and solar power – do not benefit from the same tax rule, which allows 100% of the cost of plant and equipment to be set against taxable profits in the first year. In fact, in 2012, the chancellor moved to exclude small scale wind and solar installations benefiting from the feed in tariff from claiming the allowance. The news comes with the taxpayer already likely to pay back hundreds of millions of pounds in tax to North Sea oil and gas firms as losses are offset against previous profits. “UK shale development is at the very early exploration stage, which by its very nature can be unpredictable for developers. What are enhanced capital allowances? Enhanced capital allowances are designed to encourage companies to invest in something the government wants e.g. fracking by offering them an effective tax break for doing so. They work by allowing the firm to reduce the amount of profit on which they need to pay tax. For example, if one year a firm makes a profit of £100 but has also spent £100 buying kit to explore for shale gas then their taxable profit will be zero in that year. Because the tax rate on oil production is up to 40% that means they save £40 in tax. What makes this allowance particularly generous is the ability to offset the full £100 in the year it’s spent, rather than having to spread it out over the lifetime of the kit you’ve bought, as is the case for most investments. The rule essentially allows oil and gas companies to offset all their exploration costs against profits on their current production, let’s say from profitable wells in the North Sea. What that means is that fossil fuel firms can claim back the money they spend on fracking against their taxable profits from conventional UK oil and gas extraction – reducing their tax bill. It acts as an incentive for companies to keep exploring – assuming they produce oil and gas in the UK. If they find reserves, they increase the value of their firm – if they find nothing the loss on the exploration is effectively shared between the company and the taxpayer. In Centrica’s case the firm has committed to fund £60m of expenditure in the Lancashire Bowland shale joint venture with Cuadrilla – though that commitment will depend on planning permission and other factors. As a major UK offshore oil and gas explorer Centrica will be liable to pay tax on its offshore profits at approximately 40%. If community benefits paid by these firms take the form of capital costs even those could actually be funded – indirectly – by the taxpayer. The tax rule means Centrica can claim all the money it spends on plant and equipment for exploration in each year against its taxable profits from oil and gas production. If the firm has sufficient profits and offshore tax rates remain the same it could amount to a tax saving of £24m. The same may apply when the offshore-based Ineos – which now owns fields providing nearly 10% of the UK’s gas – says it may invest £138m exploring for shale gas it knows it can offset some of that against the profits from its existing fields. And when IGas, the UK’s largest onshore oil producer, spends roughly £16m on plant, equipment and exploration in 2015 (not necessarily on shale) it knows it can offset that against any profit it makes on its existing – conventional – oil production. Ineos declined to respond to emails or phone messages. IGas also declined to respond to emails and told Unearthed over the phone that they had no wish to comment on the claims made regarding them. The tax breaks are separate to those announced in 2013 by the Chancellor when he rolled out the “the most generous tax regime in the world” for the UK’s shale gas drillers. However that move led officials to calculate that increased drilling by fracking firms would actually cost the treasury £25m between now and 2020. That’s because if Centrica and Ineos are successful in their exploration then lower taxes for shale gas extraction will mean more money is spent on fracking wells – and less on paying tax. “The costing derives from additional first year capital allowance claims as a result of development expenditure that was incentivised by the measure,” said the document. The £25m figure is just an estimate of how much extra the taxpayer may lose as a result of additional shale gas infrastructure. The Treasury calculation doesn’t include any potential tax benefits from exploration, for example through additional income tax paid by company employees. More important the benefits of the tax break – however – may be limited by the low oil and gas price which is hurting many potential shale explorers. The collapse in the oil price – which has also brought down the price of gas – combined with the depletion of the North Sea has hit the sector hard. Sources in the sector suggest it may not be the only firm forced to take drastic action to stave off insolvency. The slowdown has seen exploration in the oil and gas sector drop dramatically though it is not yet clear what impact it will have on the hunt for shale. The economic headwinds won’t remove the benefit of the tax break however – because firms are likely to turn profits in future. Firms may also be able to offset capital expenditure now against future profits. Direct state support for shale exploration – combined with generous tax allowances – is designed to encourage the industry to invest in fracking even as the price of gas falls, making fracking less economic. After all, firms live or die through the discovery of new reserves. What was little understood until now is that the UK taxpayer is also taking a risk on Osborne’s fracking revolution.